Who do आप think deserves the शीर्षक of Kate Middleton's mother-in-law? Which picture of Kate Middleton, Charles and Diana's daughter-in-law and William's wife is your favorite? Do आप think William & Kate will last? Do आप think Diana will approve Kate? What did आप think of her wedding dress? प्रशंसकों के पसंद: So stunning! She looked amazing. Pippa and Kate Middleton: Who's the fairest of them all? Vote! Middleton challenge at home: who do आप prefer between Kate, newly married to William, and sister Pippa? Life as a princess: 11 privileges Kate Middleton, photos! 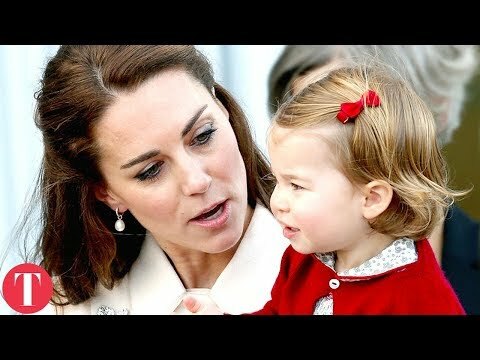 Discover the privileges of a princess: the 11 things आप can do Kate Middleton ... who envy the most? A GLOSSY magazine is under आग for allegedly slimming down Kate Middleton's waist for the cover of its royal wedding issue. Kate's waist on the cover of Grazia in the UK appears much slimmer than the rest of her body and does not match other चित्रो taken on the day, which showed her with a much fuller waist. Other publications all ran pictures of the fuller figured Kate - including the Australian edition of Grazia, which also featured Kate on the cover in her wedding dress. Kate Middleton was born January 9, 1982. Royal insiders have called her, natural grace and sporty elegance, as Prince William’s princess bride-to-be. The captivating brunette may not come from royalty but ends like a fairy tale romance when Prince William proposed to Middleton with his late mother’s engagement ring. The couple plans to wed on April 29, 2011 at Westminster Abbey declared already as bank holiday in the UK. a link जोड़ा गया था: TLC Examines Kate and Meghan's Rumored Royal Feud In Kate and Meghan: Princesses At War? If Catherine doesn't produce an heir right away, how many years of royal tradition will she be defying?